Democrats in the Virginia House of Delegates introduced 80 bills to curb rampant gun violence in the legislative session that concluded in March — only to see 79 of them shot down in a Republican dominated subcommittee. Doing the dismissing were six Republicans: four subcommittee members, one committee chair, and the House speaker. The system works like this: Speaker Kirk Cox (R-66) assigns the common-sense gun bills to the Militia, Police, and Public Safety Committee (MPPS), whose chair, Benjamin Cline (R-24), assigns them to MPPS Subcommittee One. This subcommittee has four Republican members: the chair, Thomas Wright (R-61), and members Michael Webert (R-18), C. Matthew Fariss (R-59) and Nicholas Freitas (R-30). On the Democratic side, systematically outvoted, are two MPPS Sub 1 members: Rosalyn Tyler (D-75) and John Bell (D-87). What makes the MPPS Sub 1 majority so steadfastly in favor of more guns in more places? Unsurprisingly, they all have A or A+ ratings from the National Rifle Association and receive donations from the NRA. But the amounts received from the NRA directly – ranging from$2,500 to $5,000— are not large enough to be decisive in a general election. And, crucially, they all are in ‘safe’ districts. Perhaps it is the threat of the gun lobby more than its support that keeps them in line. The NRA is known for turning on legislators who back away from any part of its program. The NRA attacks its apostates most effectively in primary elections, where small amounts of money and highly motivated partisans can swing elections, according to Adam Winkler, professor of constitutional law and author of Gunfight: The Battle over the Right to Bear Arms in America. “That’s the real source of their strength,” Winkler said. Choosing their battles wisely has enabled the NRA to successfully push an agenda that is out of step with the general population, which, as polls show, favors stricter gun laws. As Republicans seem incapable of standing up to the NRA, gun safety will only be enacted if the Democrats finally take control of the Virginia assembly. To make this happen, it is important to keep the pressure up with enthusiasm, calls, and letters to support the efforts of the proponents of the many good bills, and the actions on the national scene to make us safer from gun violence. 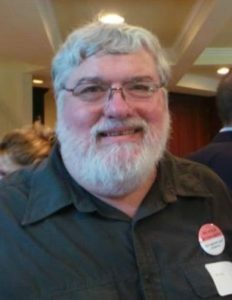 Ben Zuhl is Co-chair of Concerned Citizens Against Gun Violence , a member of the FCDC State & Local Affairs Committee, and a member of the Dranesville District Democratic Committee.